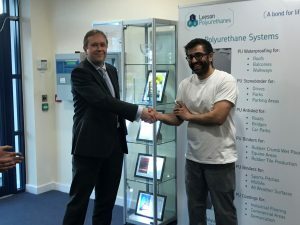 Leeson Polyurethanes had a joint celebration to mark the retirement of Mick Mackay and the 10 year work anniversary of Amritpal Khaira. 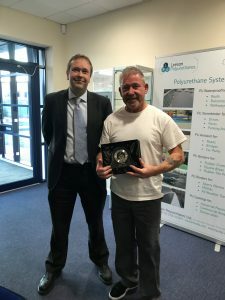 Mick joined Leeson Polyurethanes in early 2008 and continued to work on the large vessel section, keeping it running at all times with professionalism and making binder for many a playground in the UK. He will be missed by all of his colleagues, but hopefully he will now have more time for football and the grandchildren. We thank him for all his hard work and wish him all the best for the future. Amrit joined us in September 2007 and has worked in every area of production, including a stint inside the reactors. For the past 2 years he has taken on the role of Team Leader and with his knowledge and expertise has contributed to the smooth running of Production. 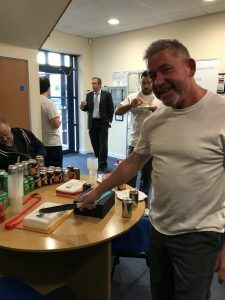 Over his time with Leeson’s he would have seen many changes, improvements and people come and go. He is conscientious, a hard worker and a fount of knowledge. 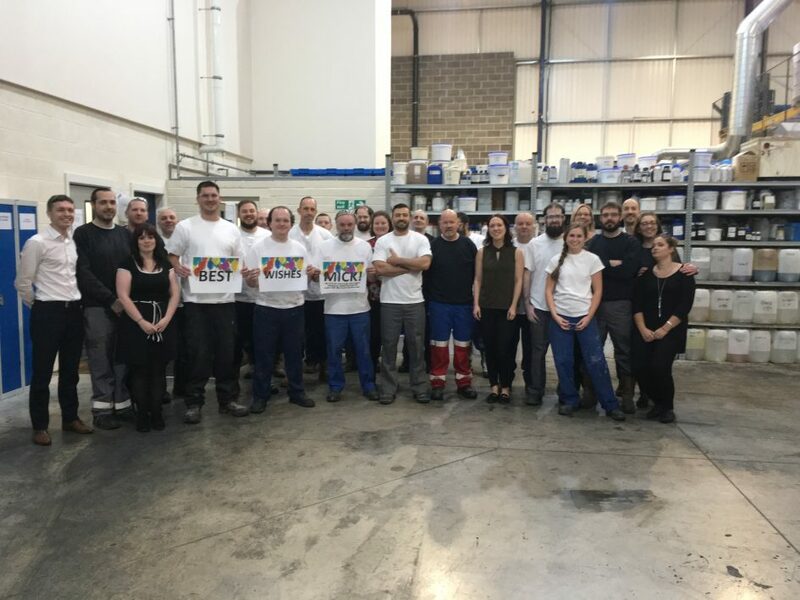 He has an excellent attendance record and is an asset to the team at Leeson’s. Joel Leeson gave a speech, thanking both for their commitment to the company followed by a presentation of gifts. All then enjoyed a buffet lunch and cake to round off the celebrations.